The Mentality issue I brought a few days ago has really blown up all over the inter-webs. Mentality really needs to be held accountable for their actions and their mistakes. What I don't want to happen though is for all indie nail polish brands to suffer because of one incompetent brand. I can't talk about the legality of things, regulations, FDA, chemicals, and etc. I'm not familiar enough to discuss that aspect of things, but I do know this Mentality situation has caused concern for the entire indie market. What I can say, is that I've been involved in the nail polish community and into nail polish since late 2008. Indie polish started to come onto the scene in 2011. I'm not the most fervent indie purchaser, but I've been buying indies since their fruition. I've probably purchased from around 50 brands over the past 4 years. 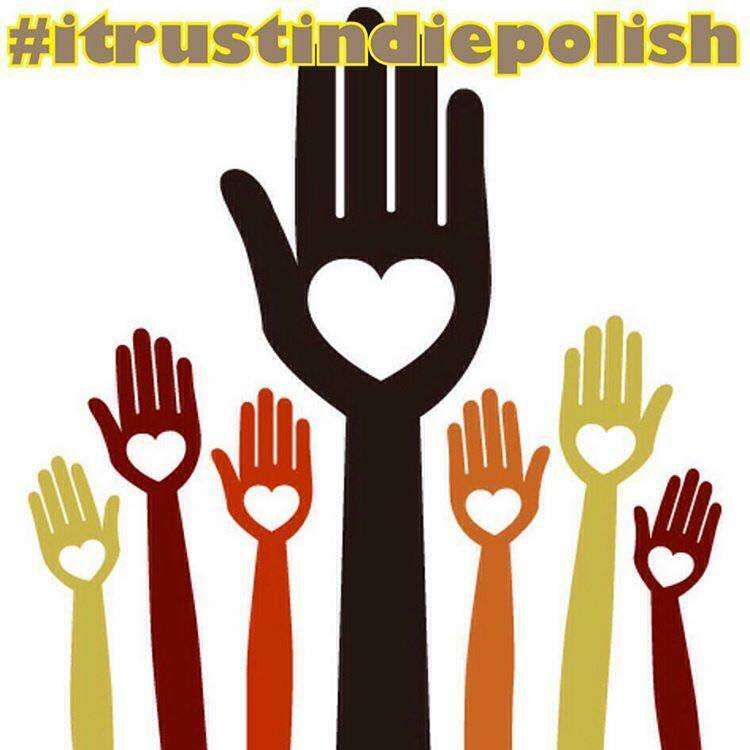 I have never ever experienced or heard about any harm caused by indie polish ever until Mentality Nail Polish. I've been around the block. I'm an old school nail girl. I know this stuff! I know there are people who have never tried or heard of indies who are completely turned off by the idea based on the Mentality articles popping up on major publications. I know there are people in our own nail community who are approaching indies with hesitancy now too. I will always continue to support indie brands because I know there are hundreds of excellent makers in this market. Mentality has made one big and very ugly mistake, and they absolutely 100% need to face the consequences. I am glad they've been put on blast based on the harm they've done to their customers. I just want people to know that despite this one horrible brand and incident there are hundreds of indies out there you can trust. The brands I'm listing below are trusted brands by me. These are brands I've personally used and many I have had positive and personal communication with in the nail community. There are hundreds of other brands besides these I've listed I just do not have experience with them. I recommend searching your favorite bloggers to find their recommendations too. I know many other bloggers have made IG posts and other social media related posts mentioning their trusted indie brands! Support the indies you love! I think if anything during this nasty ordeal it's made me appreciate the excellent indies out there.